People from 951 cities in 82 countries participated on October 15 in the ‘United for Global Change’ day. Hundreds of thousands filled the streets of European, Asian and American cities, calling for taxing the rich and an end to governments leaning on the poor and middle class to climb out of recession. Hundreds of protesters were arrested around the world. Rome witnessed the most violence, as some protesters dug out pavement stones and threw them at police, while others threw explosives and attempted to storm the Ministry of Defense. In New York, police prevented demonstrators from entering Zuccotti park, where they had been protesting since September 17. London saw some 1000 protesters attempt to break into the London Stock Exchange, only to be prevented by police on horseback. In Spain, ‘Los Indignados’ began their assembly in the Puerta Del Sol square in Madrid by listening to Beethoven’s 9th Symphony. What you are about to hear is a telephone call that I placed to the Right Honourable Stephan Harper. I placed the call in the hope that I could have the Prime Minister or someone at his office answer the question that the Prime Minister avoided answering when it was posed to him in a press conference in Peterborough Ontario on Friday October 14, 2011 at approximately 10:40 A.M. MST. The press conference was broadcast live by the CBC News Now network. I watched (live) as a reporter prefaced his question to the Prime Minister with comments about the growing Occupy Wallstreet Movement and that plans are to have an Occupy Bay Street protest tomorrow and the reported recollected the violence at the G20 summit. Having said that the reported went on to ask the question: “What are you saying to the police”? The reporter was obviously referring to what instructions the Prime Minister had for “law enforcement” with respect to the upcoming “Occupy Baystreet” protest. The Prime Minister avoided the question by saying “I think that Canadians understand…….” and went on to make statements about how things are different in Canada and that Canada did not bail out our bankers…..etc. The Prime Minister concluded his “answer” to the question: “What are you saying to the police”? by saying that he would not comment further. As a citizen of Canada I was not satisfied by the Prime Ministers avoidance of the question and would like to have the question answered. I have phoned the Prime Ministers office in the past and have not being allowed to talk to anyone in person as the views that I expressed differed with those of the PMO. So today, I decided that I would create the illusion that I was a citizen who was in favor of quelling the “Occupy Wallstreet Movement” at the border and not allowing this movement into “peace loving Canada”. Having said that to the receptionist responsible for screening calls and directing calls to the appropriate “route”, I was allowed to talk to “John” about my concerns. I need to state unequivocally that I am in support of the “Occupy Wallstreet Movement” and encourage all Canadians to take action to support the movement provided that you do so peacefully. In order for my voice to be heard at the PMO I stated that I was in favor of stopping the movement at the border and not allowing it into Canada. These statements firstly, allowed my call to be directed to a person rather than the voice mail option. These statements secondly, allowed me to talk to “John” who was “happy” and “pleased” that I was making these statements. Listen to the conversation and draw your own conclusions. You will hear as I finally leave a voice message for the Prime Minister asking him to answer the question (which I state 3 times so there is no confusion as to what the question is) and to “try to stay on topic”. Subsequent to my call to the PMO, I watched on CBC News Now as they presented to the viewing public the “edited” version of what I had witnessed live at 10:40 A.M. MST. The edited version, which aired at approximately 1:05 P.M. MST omitted the reporter’s question: “What are you saying to the police?” and omitted the Prime Ministers concluding remark that he would not comment further. You will be able to hear the Prime Ministers avoidance of the question aired again and again on CBC news as they create the illusion that the Prime Minister is making a statement about the current state of affairs in Canada. So Mr. Prime Minister, what are you saying to the police with respect to the role of law enforcement at the upcoming “Occupy Bay Street” protest? Will you allow Canadians their Charter Rights and Freedoms to peaceful protest? If you will not answer this question when posed by a reporter in a free and democratic society then we will have to wait for the answer until tomorrow to witness the role of law enforcement in Canada when encountering citizens exercising their right to peaceful protest. I remind you sir that the whole world will be watching. I also remind all Canadians that the whole world will be watching and to act PEACEFULLY to exercise your Charter Rights to peaceful protest. May your noses always be free of the metal rings of the usurers. Oy Yez, Oy Yez, the Temporal Court of the World Public is now in session, the more or less honorable, Judge Visible presiding! Be seated. “Peoples of the world, I have reviewed your petition and I find the following to be righteous and true that a criminal banking and extortion empire was created in a land, formerly known as Palestine and now, illegally known as Israel. I have studied all of the documents and briefs pertaining to the historical record of actions, events and incidents that led to the illegal and immoral founding of this parasite, crime syndicate upon the previously named territory of Palestine. I find all arguments for legitimacy and continuance of the illegal state of Israel to be untenable and declare all of them null and void. I declare on this date, September 22, 2011, the recognition of the state of Palestine on all lands occupied by those so named and defined as Palestinians, as they existed prior to the First World War. I command that all usurpers going by the designation of Israelis be immediately expelled from all of the territories so named and relocated to any country that will have them and failing that to a secure, walled facility where they can be quarantined for the public safety and good. I hereby command that all of the assets of the illegal state of Israel be seized as well as the assets of all Zionist entities and sympathizers the world over. I command the dissolution of all central banks, which are no more than organized crime laundries and counterfeiting operations, presently under the control of Zionist interests and headed up by the Satanic Rothschild Family. I command and demand that all assets of the Rothschild Crime Family and their surrogates and associates be seized and held in trust for the world public for wide dissemination among the victims of this vampire clan as soon as is practical and possible. I command that all world politicians proven to be complicit in the drive toward world subjugation, under the rule of Talmudic Israelis and Zionists be arrested and held for trial under the charges of crimes against humanity. I command that the Federal Reserve be dissolved and all serving officers put under arrest and held for trial. I command that all police forces be stripped of all authority and all members placed under review for previous acts of suppression and violence against the citizens of any and every country so affected. I command that Wall Street and all stock exchanges be rigorously investigated and all criminal actors presently engaged there be prosecuted to the fullest extent of the law. I command that the entirety of world media, publishing, entertainment and any corporation and company, such as Monsanto that was purchased by the theft of public monies from criminal banking institutions, be taken out of the hands they are presently in and administered by non criminal professionals of proven provenance in respect of truth and full disclosure. I declare AIPAC, the ADL and all Zionist extortion gangs be declared hostile enemy combatants and the assets of all of these entities seized and their charters revoked. I demand and so command that all ZATO forces of the Zionist Armies for Total Occupation immediately remove themselves from the countries of Iraq, Afghanistan, Libya and sundry and surrender their rank and membership in this murder organization effective immediately. All members of this mass murder machine who are found to be incriminated in violence against the world public are to be detained and held for trial. I recognize Hamas as the legitimate voice of The Palestinian people and summarily demand Mahmoud Abbas remove himself from any further representation of the Palestinian people. I remove the authority of The United Nations and command the formation of an independent body to replace it. I announce to the people of the world that Israel has been incontrovertibly proven to have been behind the 9/11, 7/7 and Madrid Train Station attacks and those who were so employed at this and all of their agents and accessories are to be arrested and held for trial on the crime of mass murder. I call for the arrest and detainment of all Mossad employees and agents around the world for crimes against humanity and demand the rearrest of the 3 dual national Mossad agents who were caught spying in Iran. I declare all Kosher taxes on the people of the world to be at an end, effective immediately. I call for a full and complete investigation of all major historical events of the last hundred years to determine whether or not there has been systematic revisionism at work. I declare that it is impossible for 125,000 so called holocaust survivors to be living in the US and needing specialized medical care, as per the petition of two Israeli citizens, employed as representatives of the United States government, since that many persons were not liberated from the camps in the first place. I demand the return of all Homeland Security monies that were given ‘in the majority’ to Zionist entities in America to the exclusion of all other entities. I rule and command that no Israeli or Zionist sympathizer be allowed to serve in any political or legal manner in any government anywhere and that they be forbidden to engage in banking or the law or any endeavor where the public may be placed at risk of the repetition of similar events associated with them over previous centuries and amply demonstrated by their expulsion from the majority of the countries of the world for the same crimes over and over again. I officially declare an end to the promotion and perception of Khazar and Ashkenazi victimhood and define them as predators upon the body and fortunes of the public at large. I officially recognize that they cry out in pain when they strike you and I declare that the use of the term anti-Semitic be defined as a hate crime and an illegal act in the pronouncement of it and to be punished by terms of confinement soon to be set and by public ridicule and scorn. I so affirm that political correctness is also a crime and is to be dealt with swiftly and comprehensively whenever it rears its ugly little head. I demand a full investigation into Zionist control of all representative organizations of alternative sexual practice to see the essence of the agenda at work and to determine whether or not these organizations are used as war material against other religions, as well as the culture and continuance of whatever country they are operative in. I command that the Talmud be formerly recognized as the official Bible of Satanism and that the practitioners of it now be seen and defined as the parishioners of the Synagogue of Satan. I declare all Noahide laws invalid from this moment in every country where they have been shoehorned into the charters and constitutions of whatever country it may apply to. I officially remove all authority from all persons worldwide who are sitting judges in any and all capacities until their integrity and value can be proven to an impartial committee of their peers. I demand that all individuals in any and every capacity connected to government, industry, banking, the military, law enforcement and any organization or operation that affects the public in the day to day, immediately come forth and inform on their comrades, concerning any crimes or malfeasance and betrayal of the public trust, of which they may know anything at all, under penalty of suffering the fate of their associates, should they not act expeditiously and at once. All international corporations are now to be considered operating illegally and are commanded to stop and desist in all illegal activities or be subject to the full weight of temporal and cosmic law. Filed under: Global revolution, Palestine, Zionist entity, Zionist Lobby |	Comments Off on A World Declaration of Liberation from Criminal Israel! Press reports said that police has reopened the Brooklyn Bridge Saturday evening after more than 700 anti-Wall Street protesters were arrested for blocking traffic lanes and attempting an unauthorized march across the span. The arrests took place when a large group of marchers, participating in a second week of protests by the Occupy Wall Street movement, broke off from others on the bridge’s pedestrian walkway and headed across the Brooklyn-bound lanes. Most of those who were arrested were taken into custody off the bridge, issued summonses and released. Witnesses described a chaotic scene on the famous suspension bridge as a sea of police officers surrounded the protesters using orange mesh netting. Friday evening, more than 1,000 demonstrators, including representatives of labor organizations, held a peaceful march to police headquarters a few blocks north of City Hall to protest what they said was a heavy-handed police response the previous week. No arrests were reported. The group has gained support among some union members. The United Federation of Teachers and the Transport Workers Union Local 100, which has 38,000 members, are among those pledging solidarity. The unions could provide important organizational and financial support for the largely leaderless movement. What To Do? What Can We Do to Free Ourselves and Our Country? A founding editor of The Indypendent, Arun Gupta writes about energy, the economy, the media, U.S. foreign policy, the politics of food and other subjects for The Indypendent, Z Magazine, Left Turn and Alternet. Gupta is a regular commentator on Democracy Now! and GritTV with Laura Flanders. He’s writing a book on the decline of American Empire to be published by Haymarket Books. From 1989 to 1992 he was an international news editor at the Guardian Newsweekly. So thanks for allowing me to not feel like a complete Pollyanna when I tentatively tell people here that many people in the United States do not support the policies of our government, and that we are learning from global examples how to resist. 2 ) faith in God. The first of these sharpens the picture, it brings the canvas and all of its painted images into focus; it enables people to connect dots. When a tear gas canister lands at their feet reading “Made in America,” the revolutionary leaders in Egypt know which people in America are behind it and what their agenda is. This is knowledge that Western protesters by and large are not cognizant of or clear on. The second of the two ingredients gives one the spiritual strength (which, yes, translates in turn into physical and psychological strength) for the struggle ahead. That God is inside us, that he has a clear purpose and objective, and that we are part of that plan, is an energizing thought, one capable of paying important psychological dividends when you find yourself outmatched by an extremely formidable opponent. These are two pieces of protective equipment the people of the Middle East have learned to make effective use of, and which protesters in places like Wisconsin would do well to try and adopt in some form. But that won’t be easy. American leftists at present are as stubbornly committed to secularism as they are to avoiding any direct, head-on challenge of the Israel lobby’s control over their government. There are any number of reasons why average Americans, and especially members of public employee unions, might want to be concerned about this. The wars in Iraq and Afghanistan, for instance, and the trillions spent there, along with the billions given each year to Israel, inevitably mean less money for domestic needs such as public education. But even beyond monetary considerations is the corrupting and degenerative effect the Israel lobby has on American political life. With a long history, going back several decades, of pouring money into elections to defeat officials who advocated America adopt a more balanced position in its foreign policy, the Lobby has in effect coarsened and debased public affairs and government in America. When you eliminate from managing the nation people such as former Congresswoman Cynthia McKinney, who might express support or sympathy for Palestinians, you are removing from leadership those most constitutionally predisposed toward social justice—the very officials most likely to support unions. Should such a policy be sustained for a matter of decades, the cumulative effect mounts up. After a while, the Cynthia McKinneys, we discover, are all gone, replaced by those inclined to view favorably a country that has what is arguably the most right-wing government in the world today. In the process, we find ourselves, as a people, burdened with a raft of politicians like Scott Walker, the current governor of Wisconsin. Since workers began maintaining a vigil at the Wisconsin State Capital building on February 14, a great deal has emerged about Walker’s having gained office with the support and backing of the billionaire Koch brothers, Charles G. and David H. Koch. The brothers head up Koch Industries and are ranked by Forbes Magazine as among the world’s richest people. 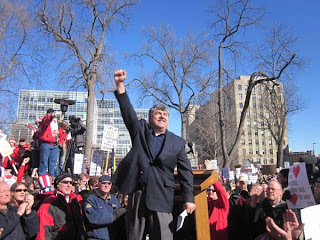 Much has been said (here, here, and here for instance) about the brothers’ support for a number of right wing causes, most especially perhaps their backing of the Tea Party, and how that support synchs with what is now happening in Wisconsin. But in the context of all this, little ever seems to get said about the Kochs and Israel, or about the Tea Party’s backing of rabidly Islamophobic, and pro-Israel, political candidates such as Florida Congressman Allen West, who swept to victory in last November’s elections with Tea Party support. As for Armey himself, the former congressman, according to SourceWatch, charges a speaker’s fee of $20,000-$25,000 and regularly gives talks on a number of topics including, “Why We Must Support Israel.” The depth of that support, we might observe, is radical and extreme, even by American standards. In a 2002 interview with Chris Matthews on “Hardball,” Armey advocated what essentially would amount to the ethnic cleansing of Palestinians from Israeli-occupied territories. (A complete transcript of that interview is available here.) Such comments would place Armey in the company of the most fanatical of Israeli settlers. The movie content was slick as well. The first half is endless scenes of suicide bombers and human carnage; the second half of the film intersperses clips of Hitler, Hitler Youth, or Hitler analogies intermittently with Muslim crowds and young children with fists in the air calling for death to westerners. But this aspect of the film’s intended propaganda effect goes unmentioned in the Counterpunch article by Martens. In fact, as with the Mayer piece in The New Yorker, the word “Israel” does not appear anywhere in the article. In a recent interview with Silvia Cattori, jazz musician and former-Israeli citizen Gilad Atzmon said Western leftists are essentially misleading themselves when they think in terms of Israel as a “colonialist” or settler state. Israel, he says, “is not at all entirely a colonial entity—as we historically understand that term—and it needs to be understood that its power and ties with the West are maintained by the strongest lobbies around the world.” Not only is it not a colonial state in the true sense, but it even exceeds the limits of Apartheid as was practiced by South Africa. The latter was brutal, but as Atzmon notes, “it stopped short of throwing white phosphorous on its indigenous population.” Israel, on the other hand, is “driven by a Talmudic racist ideology”—in other words, the driving force here is racism as a religious belief (which was not the case with Aapartheid South Africa). But the Left persists in looking at Israel through the prism of settler-colonialism, largely, Atzmon feels, because “it makes criticism of the Jewish state look legitimate” and because “it conveys the hope of a resolution” through such methods as boycott, divestment, and sanctions. Atzmon, however, is not optimistic about such strategies ultimately succeeding. America invests its tax payers’ money maintaining the Jewish State and it launched its people into a war to ‘save Israel.’ Consequently, we are all facing a financial disaster, and as we speak, the Arab masses are rising: they demand liberation, and they want an immediate end to the Zio-political grip. What you see now in Egypt, Libya, Bahrain, and Yemen is there to prepare us all, and we may well see the same thing unfolding soon in Berlin, Paris, London, Madrid, Barcelona, and New York City, because we all face the same enemy. What Atzmon seems to be saying essentially is that Americans could learn a lot from the people rising up across the Middle East. 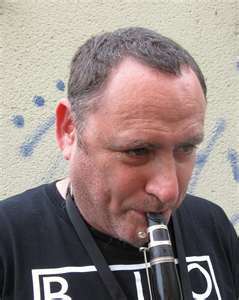 While Atzmon doesn’t make specific mention of “Obsession,” the documentary, he does inform us that “along the years the Jewish State has been utilizing some very powerful lobbies and think tanks in our Western capitals; and these bodies promote global Zionist interests such as endless confrontation with Islam and the Muslim world.” But awareness of this “global Zionism,” along with an analysis of its deleterious effects on American life, seems to be sadly missing just now in Wisconsin. Not only do protesters themselves seem barely conscious of it, but it doesn’t get much mention from alternative journalists covering events there either. An article in the left-leaning Mother Jones magazine, for example, observes that Walker “might not be where he is today without the Koch brothers,” but makes no mention of what we could perhaps call “the global Zionist factor” in the controversy. And here, we have a Democracy Now segment featuring hosts Amy Goodman and Juan Gonzalez interviewing Lisa Graves, executive director of the Center for Media and Democracy, in a program that focuses entirely on the Wisconsin protests and the Koch brothers’ financial backing of the union-hostile Walker—but again, no mention of Israel. Graves and the Center for Media and Democracy, by the way, have been working to provide almost minute-by-minute coverage of the protests at the Wisconsin capitol building, this through the posting of live updates on their website, PRwatch.org. The updates include photos, videos, as well as an ongoing diary, or log, of events, with each log entry including the time of day as well as a summary—of varied length—of the episode, procedure, or event being described. The live reports can be found here, and are truly a phenomenal resource, but again Israel or the Zionist lobby’s stranglehold on Congress are mentioned rarely if ever. Perhaps most striking of all is this interview with leftwing filmmaker Michael Moore with Grit TV host Laura Flanders. In this interview, Moore comments to Flanders, “1954, the year I was born, was the last year where we had the highest point of union membership, 35 or 36 percent. Where I grew up in Flint, Michigan, everybody belonged to the union, it didn’t matter what your job was, whether you worked in the auto factory, whether you were a bagger in the grocery store, whether you were a janitor in the school, everybody, no matter what your dad or mom did, you had a decent life, you had a roof over your head, you had food on the table, only one parent had to work. I at least got to live part of my life to see that that’s possible.” What Moore seems oblivious to, or reticent about, is that the years in which American workers lost all of these things he mentions coincided with the rise of the Israel Lobby in the United States. As would seem to be indicated by the example of Trumka—who has more recently made fiery speeches in Wisconsin—getting labor leaders to recognize the threat of global Zionism is going to be a sticky business. This is complicated even more by the fact that the U.S. labor movement and the Zionist state are intricately intertwined by means of investments unions have made in state of Israel bonds. According to Labornotes.org, a total of 279 labor bodies in the U.S., including locals, labor councils, and the AFL-CIO itself, have purchased altogether some $5 billion worth of the Israeli bonds as part of their pension portfolios. Coming up in part 2 of this series, “Lessons from the Light: Liberation and God.” Richard Edmondson is the author of The Memoirs of Saint John: No Greater Love. As the Arab people continue to exercise unarmed yet mighty power, there is one place above all others that remains at the heart of the struggle, Palestine. 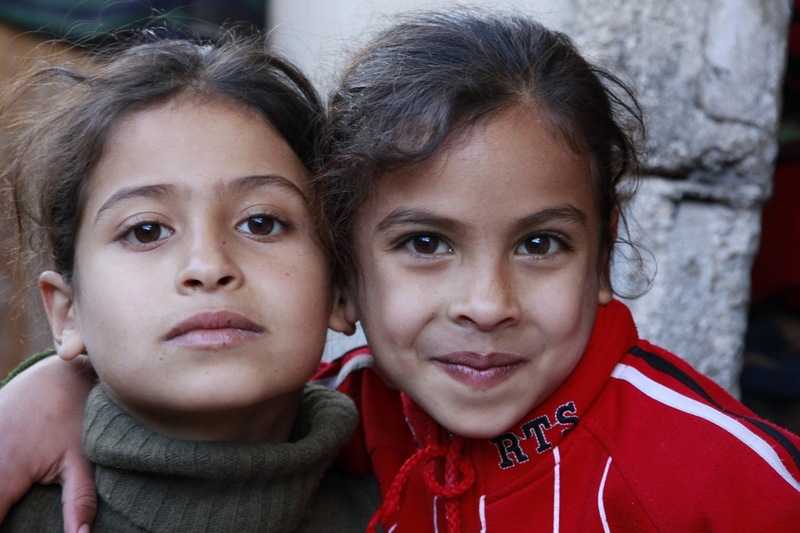 Despite all the money, propaganda, weapons, false imprisonment, ethnic cleansing, torture and mass-murder wielded against them, they have endured, and they remain, unmovable, they are the people of Palestine. This Global revolution will never be complete until Palestine is free, and in this moment in time, we can listen to those who call for “calm” and “restraint”, or we can listen to our hearts, use our heads, and carry on to the next and most obvious step in this revolution, Palestine. The most powerful thing of all that has occurred in the ongoing uprisings is this, people have begun to believe, that ANYTHING is possible. I have lived with that knowledge for many years, I have seen, smelled and touched a better world. I have felt rage and I have cried, watching as my fellow human beings remained imprisoned within the chains of mental enslavement. And yet I knew, we were just one catalysing event away from massive acceleration in human consciousness and direct action. 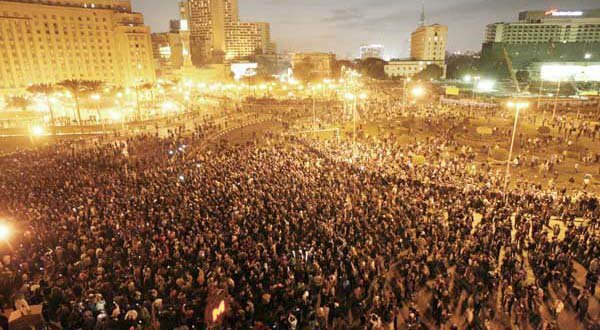 And in these days I have cried yet again, with tears of joy as I watched my Egyptian brothers and sisters in Tahrir Square, doing what would have been considered impossible less than a month ago. And together we know, ANYTHING is possible. There are those who fear Israel, the Egyptian Military, or simply the unknown, but such people remain in the time when we were slaves. Well we are slaves no more, and for those of us absent of fear and powered by love of justice, we are going to Gaza. And as we march we shall not be alone, we shall carry with us the will of the people of the world who know what we know, Palestine will be free. We the people, we are the ultimate power, and we can do ANYTHING! 2,000,000 Egyptians Chanting Free Palestine! In case you missed it: After Galloway, Ken O’Keefe under fire at HTT (Hasbara think thank).